The Story of Fred Newton -Private RASC British prisoner of war number 1004 captured by the Japanese in the fall of Singapore. During his period of captivity he saw the Atomic Bomb dropped on Nagasaki . The bomb dropped on Nagasaki was the second of the two Atomic Bombs dropped on Japan. It had the power of 22kilotons of TNT The Japanese surrendered shortly afterwards. 73,000 people were killed in the bombing of Nagasaki. Fred Newton first served in Europe at the beginning of the War. 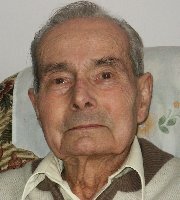 When France collapsed and the British Army evacuated at Dunkirk, Fred was one of those who did not manage to get aboard any vessel and finally got home from St. Nazaire. 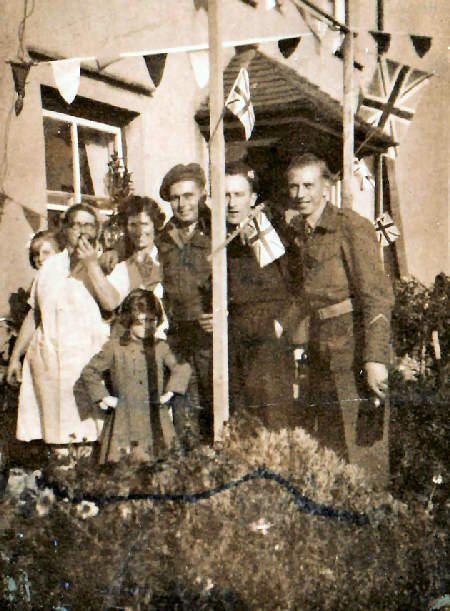 But, as he put it, ‘it was out of the frying pan into the fire’ for early in 1941 he went overseas again and along with his unit went via Halifax in Canada, and the Cape of Good Hope to Singapore. He and six of his mates said that they would stick together through thick or thin. They arrived in Singapore in January 1942. When Singapore fell on the 15th of February, Fred like many other servicemen was herded into Changi prison camp and began the terrible three and a half years as a Prisoner of War of the Japanese. 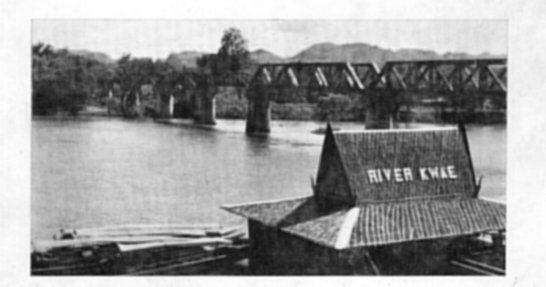 After a period working in Singapore itself, repairing lorries which had been sabotaged before the Japs arrived, Fred, with thousands of other prisoners was sent to Thailand to work on the infamous railway planned to connect Bangkok and Singapore to the existing Burma railroad. (Click on map) . The conditions under which the POWs lived and worked were a kind of hell. The Japanese guards beat them mercilessly for the slightest infringement of the rules, real or imaginary; rations were barely enough to keep the men alive, medical assistance for the sick was practically non-existent and the death rate was horrendous. 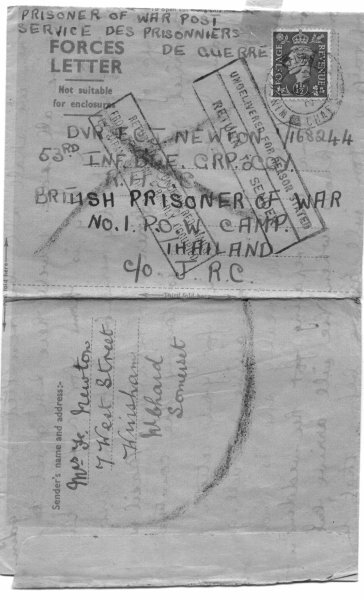 Fred remained in camps Nong Pladuk and Kanchanaburi until April or May in 1944. At this time he and his mates decided to volunteer to be sent to Japan, thinking that they would be more likely to survive there when the Japs were ultimately defea ted as nobody knew what they might do to the POW’S in Burma and Thailand. In Japan he was sent to the infamous Camp 17 at Omuta across the bay from Nagasaki on the southernmost island of Japan. There he worked in a zinc foundry where zinc scrap was melted down for re-use. In Camp 17, when the meager rations were handed out to the prisoners, there was a pegboard with each man’s number on it by a hole. When he received his food, a peg was put in its hole to ensure that no man was given more than one ration. After returning to camp at the end of the days work at the foundry, Fred lined up for his food, but an American orderly who was handing it out said that his peg was already in the board and so he must have had it. Fred insisted that he had not but the orderly threatened to report him to the Japanese so he gave in. Later he encountered a British officer. One Geoffrey Pharoah Adams who listened to his story and marched back to the canteen area with him, out-ranked and out-faced the corrupt orderly who was forced to concede. Many years later (Capt?) 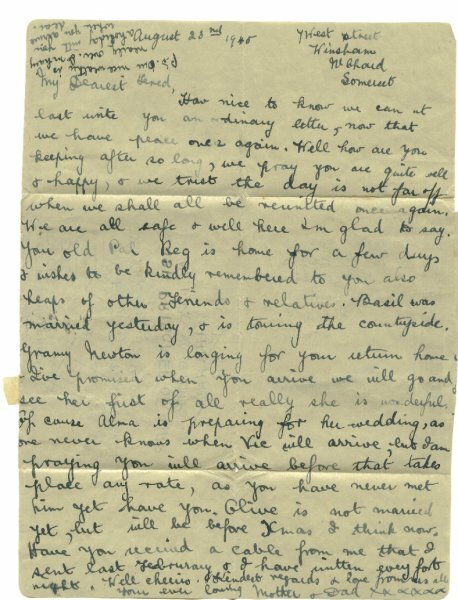 Adams who wrote several books about his experiences as a POW was in contact with Fred who he remembered well as the Prisoner No 1004 who he had helped at Camp 17. Fred was reported missing and every card that his Mother had sent to him over those three and a half years was returned as ‘not known’. The first word from him in all that time was a cable sent by him from on board the Implacable. 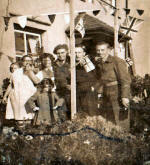 Among those who pulled the car up through the village was Gwen, a girl in the WAAF who Fred had known from school days when he used to work the bellows on the organ at Sunday School and she used to sing in the choir. ‘I used to give her a wink every now & then when I was on the organ, so I made up my mind then - you know - but it took a long time. We both went our own ways, but I came back & she was one of those helping to pull the car up through the village. We got chatting & I found that she was still free & still eligible so it started all over again’.